It’s game day once again at spalanz.com, and it’s time to look at one of my favourite card games that hasn’t seen the light of day in a while – it’s Summoner Wars! This game is one of those deceptively simple battle games with some really nice mechanics that you either love or hate. Basically, it’s a game between two people (multiplayer rules are available, but it just feels better with two) where you’re trying to eliminate your opponent’s Summoner, not merely wipe him out or anything. Because you’re only going after one card, it’s a really strategic game, as you try to block your opponent while at the same time go after his Summoner. It also has a really interesting resource mechanic that, as I say, you either love or hate. Let’s take a look! You start the game with a deck of cards that represent your faction, headed up by your Summoner. Plaid Had Games sells a variety of products for the game, and each faction deck available comes with a unique Summoner and a Reference Card, along with the rest of the cards. 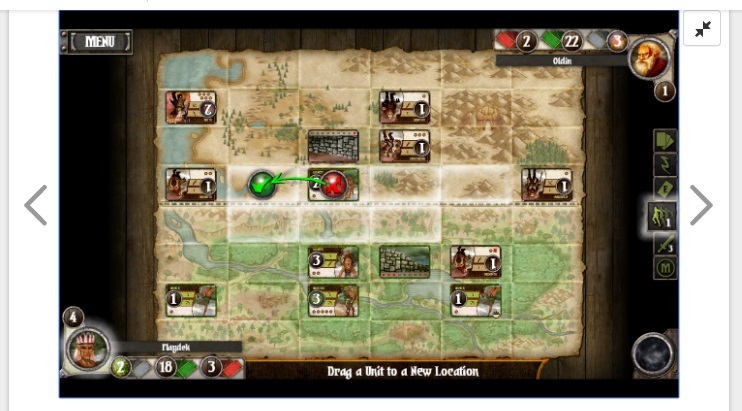 This Reference Card shows you where to place your starting units in relation to your side of the battlefield board. In addition to units, you also have Wall cards that you play to both help block your opponent’s progress, and which also serve as summoning points for your guys. To begin, then, you’ll have a fairly generic setup, with your Summoner hiding out at the bottom of your board. Over the course of the game, you summon more units into play to help defend and overrun, but if you can’t pay their cost, or if you don’t have any available walls in play to summon adjacent to, you can’t summon those cards. What’s this about summoning costs, I hear you ask? In addition to Summoners, there are two other types of unit cards: Commons and Champions. They’re what you’d expect, chump units and more beefy units, respectively. Each card has an attack value in the circle on the top left and, under this, its Summon cost and what type of damage it deals, either ranged or combat (bow and sword, respectively). Each unit also has a health rating, and finally, some kind of special effect that it can do in the game. Each player has a draw deck, a discard pile, and a Magic pile in their play area, and it is cards from this Magic pile that pay for the Summon cost. At the end of your turn, you get to “build magic” by discarding cards face down into your Magic pile. This is a good way of thinning out your hand if you drew massively expensive units in your opening hand, for instance. To pay for each point in a unit’s Summon cost, you discard face down a card from your Magic pile, so you really need to take account of what you use to build a deck (more shortly). 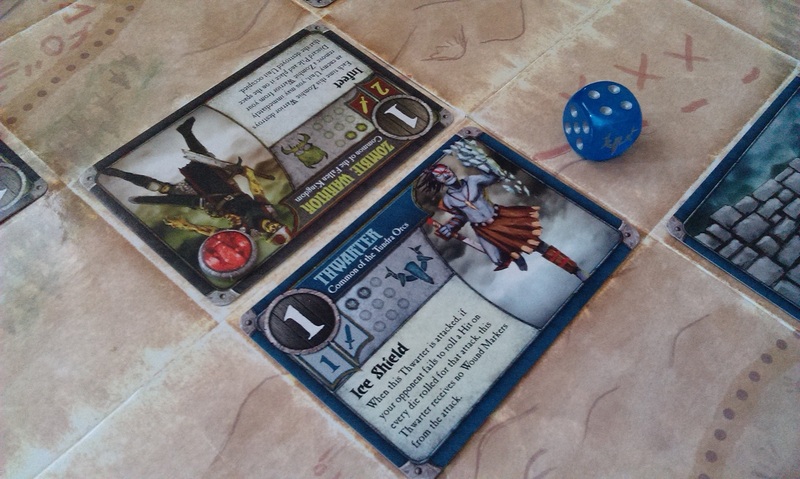 You can discard any number of cards from your hand when you build magic, but something I find really cool is that defeated enemy units go into your Magic pile – you use the bodies of your vanquished enemies to put build your own army on the board! Muwahahahahaha! So how do you vanquish said enemies? Well, combat is obviously the main thrust of this game, as you try to hack and slash your way to your opponent’s Summoner. Combat is pretty simple, and uses d6 to determine the outcomes. In the above picture, the Tundra Orcs’ Thwarter has an attack rating of 1, and deals Combat damage rather than Ranged damage, so needs to be orthogonally adjacent to the enemy. He rolls 1 d6, and if the result is 3 or greater, the attack hits. The 9-pip grid underneath the card’s name shows its health rating: the Zombie Warrior has a health of 2 so, while the 4 rolled is enough to wound the warrior, it won’t kill him this time. I really enjoy this game, the level of strategy in particular is something that appeals to me as I get older! However, it’s also a game that I haven’t really gotten to play all that much – in fact, it’s getting on for four years since I last played it with an actual person! That’s pretty surprising to me. While each faction deck is playable right out of the box, Plaid Hat Games sells a bunch of decks to allow you to mix things up, specifically the Reinforcements and now, Second Summoners. These all add options that allow you to create custom decks to suit your own playstyle. There are also Mercenary cards that have been floating around the game for a while, though they are also a distinct Faction that you can play in the game, with their own Summoner. Each deck will be built around a Summoner, whose Reference Card, in addition to having the start-up formation, has a list of the event cards associated with him or her. You then have pretty much free rein to build a deck with no more than three Champions and 18 Commons. 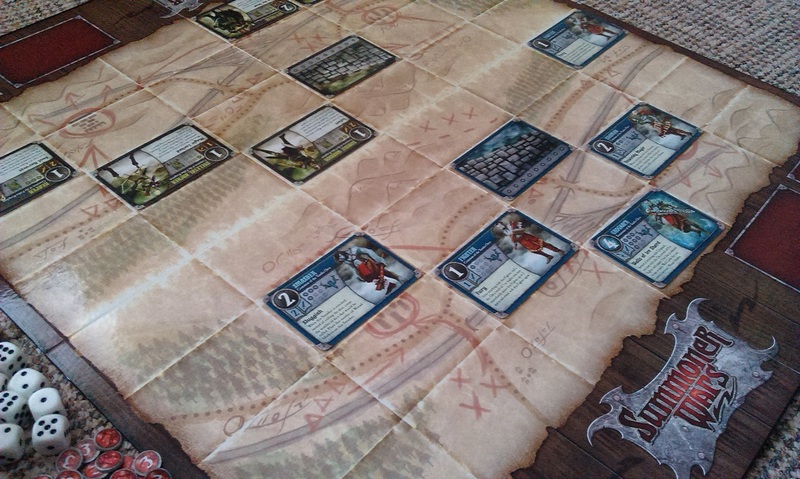 The most recent product for the game is Summoner Wars: Alliances, which I haven’t bought but sounds great, as the original sixteen factions in the game have teamed up to form eight allied factions. Sounds pretty cool, anyway! My games recently have been with the excellent app that is available for iOS and Android, and provides a really good play experience all from the comfort of your daily commute, or whatever! The main app is free, though it allows for in-app purchases of different factions and stuff, but you really get the gist of things without having to pay for all the add-ons. Definitely worth a look if you haven’t downloaded it already! 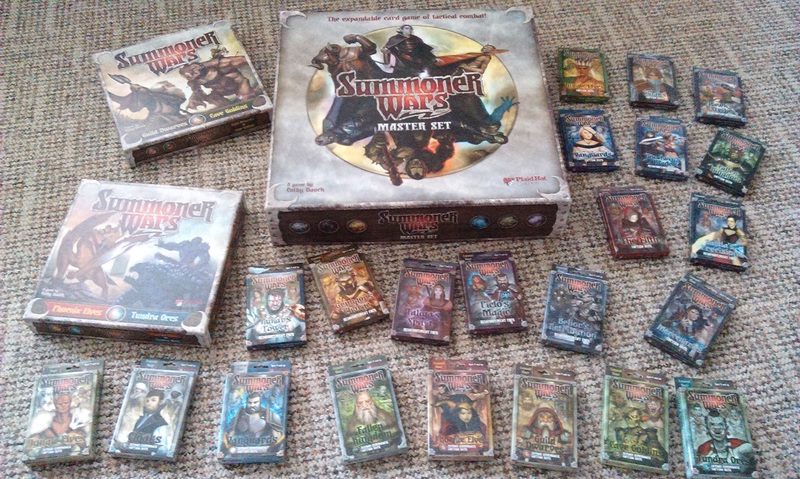 Author spalanzPosted on June 7, 2016 May 30, 2016 Categories board gamesTags card games, game day, Plaid Hat Games, Summoner WarsLeave a comment on Summoner Wars!